I just got back from the fantastic Lean Agile Scotland conference, where I spoke about why agile fails. 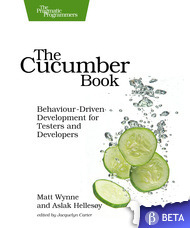 I’ve been doing a lot of travelling this year since The Cucumber Book came out, consulting and training different companies in BDD. A pattern I keep seeing are companies who adopted agile a few years ago but have hit a glass ceiling. This talk was a chance for me to reflect on why that happens. One point I made in the talk was about cargo cults. The term ‘cargo cult agile’ is used to laugh at teams who go through the same ceremonies – daily stand-up meetings, planning poker meetings, story points, velocity etc. – yet in some very fundamental ways, they just don’t seem to be succeeding the same way as organisations who get it. I see this frequently, but I don’t think it’s particularly funny. I think it’s a sad waste of human potential. I’m curious to understand why it happens. In shu, we repeat the forms and discipline ourselves so that our bodies absorb the forms that our forbearers created. We remain faithful to the forms with no deviation. That’s shu: absorbing the basic mechanics by repetition, without really understanding why. In the stage of ha, once we have disciplined ourselves to acquire the forms and movements, we make innovations. In this process the forms may be broken and discarded. Imagine that? Broken and discarded! This is the point where we start to ask why; where we start to understand the value of the practices we’ve been using and have enough experience to make decisions about when they’re actually valuable, and when they could be getting in our way. Finally, in ri, we completely depart from the forms, open the door to creative technique, and arrive in a place where we act in accordance with what our heart/mind desires, unhindered while not overstepping laws. I think that sounds like fun. Anyway, my point is that cargo-culting is just what happens when your team is stuck in the shu stage. If you’ve been on some basic agile training, you might have been led to believe that’s all there is too it; unless you’re aware that the other stages of learning exist, how could you aspire to reach them? This morning I was asked a great question about the talk: How would I help a team that’s stuck in a cargo cult shu learning stage? I felt like it deserved a blog post, and that’s why we’re here. My first step with that team is to understand how well they’d really learned the basics. Have the team been given enough support to really get to grips with the tougher agile practices like retrospectives, TDD, or pair programming? What problems are they suffering from and how can they be traced back to core agile practices that the team need more expertise in? Then it’s time to help them learn and practice those basic techniques. Coding dojos are a great way to practice TDD in a fun environment, for example. Coaching willing members of the team how to facilitate effective retrospectives and helping make sure that actions coming out of those retrospectives are followed up helps to start building the culture of empowerment the team need to become confident enough to move beyond the shu learning stage. It’s also important to have conversations with management to ensure that the team are being given the space to learn. I often see teams who are driven so hard by the demand to deliver features that they simply don’t have the time to invest in self-improvement. Once a product owner is made aware of this situation, and the benefits of having a higher-functioning team, they’re usually keen to make this investment. 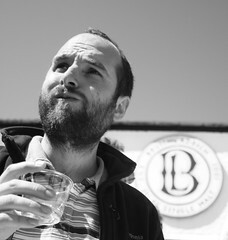 Posted by Matt on Tuesday, September 25th, 2012, at 2:28 pm, and filed under Agile / Lean Software Development. Ask again. Am I observing cargo culting or is this the Shu phase? By definition cargo culting is not learning, merely an imitation of the action divest of the understanding. Cargo culting we can understand as the physical expression of simulacra – ‘an image without the substance or qualities of the original’. According to Jean Baudrillard, in post-moderist age, a simulacrum is not merely a copy of the real, but becomes truth in it’s own right: the hyperreal. Where Plato saw two steps of reproduction — faithful and intentionally distorted (simulacrum) — Baudrillard sees four: (1) basic reflection of reality, (2) perversion of reality; (3) pretence of reality (where there is no model); and (4) simulacrum, which “bears no relation to any reality whatsoever”.